I'm in a happy place now. I'm thinking, can you be at peace if you're not happy? The answer probably depends on our perspectives of both experiences. . . on whether we get them from external factors or from within. I hardly see myself praying for happiness. But I have always seen myself praying for peace. Happiness is something that I think everyone can easily find. Clothes. Jobs. Money. Laughter. Regardless of what it takes to make you laugh so hard that your stomach hurts, you can achieve staying happy every day. Little things can make you happy. But it takes quite an effort for you be at peace. I’d be lying if I told you I have always been happy tho, but recently I’ve had a change of heart. I’ve spent time in my life looking at the glass half empty, but after a few tough shocking realities in the last few months, I’ve realized that life is truly too short to waste time being depressed, especially for no apparent reason. Happiness is often associated with spontaneity. Peace on the other hand, is a journey . . . a continuous process. Although, I am happy when I am at peace. But am I at peace while being immersed in the glory of happiness? Sometimes, yes. Sometimes, no. OK. Maybe what they say is true: you can buy happiness. You definitely can't buy peace. 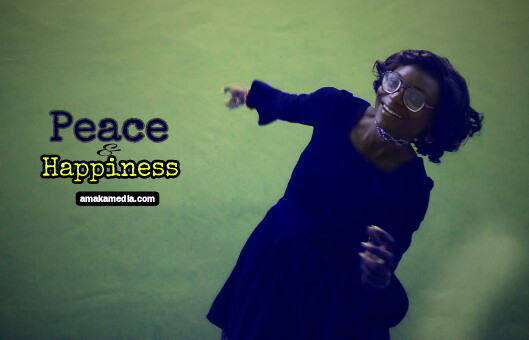 Happiness will always come where peace is but it's not necessary that a happy person will always be at peace. We are humans, and we have emotions. You will be bottled up with emotions all the time, but peace helps you with the reaction towards them. When you are at peace, you can choose to enjoy and be happy for things, people and more at the same time, you can choose not to be sad for other situations. While I was going through a "heartbreak", I did not know which came first - peace or happiness. I just stopped struggling and decided to let go. As time went on, I realize I have both within me. 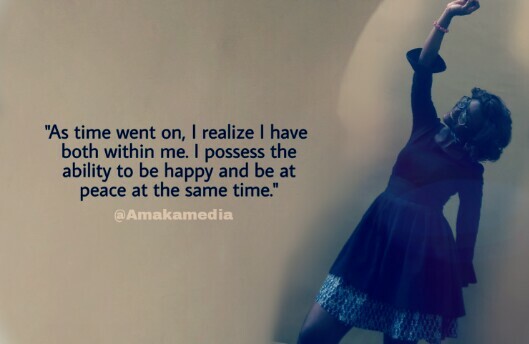 I possess the ability to be happy and to be at peace at the same time . . . Because I have the life of Jesus IN me. In the still, quietness at the core of my being I have found that what our hearts seek is never outside of us. Looking within, I feel more real, more present, more ME. And I have found that I feel content. 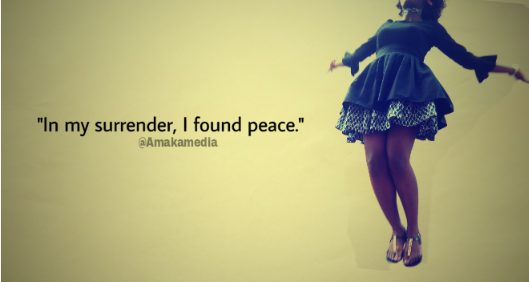 And from this peace and contentment, I found the stirring of a deep and genuine happiness. It doesn't mean that things have changed, however my perspective have. When another challenge presents itself, I will be able to respond rather than react. The old familiar tension in the face of difficulty wouldn’t be there anymore. I have become calmer and yes, happier. The secret is very simple. But it takes a lot of effort. No, in fact it requires a childlike response from us — To “Trust in the Lord with all your heart”. When you trust God is working everything out for your good, you will be at peace. 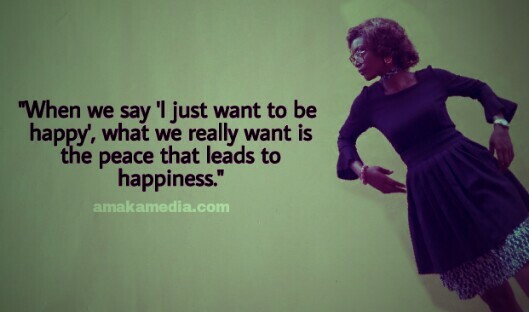 In conclusion, I'd say true happiness comes from a sense of peace and contentment. What d'you say? Please share your thought. Wishing you a week filled with peace and happiness.